Beer will be served from 11 till 7 pm for final last call X 3. Robert “Bluesman” Ross, who wowed us at previous shows at Cha Cha’s and Coney Island USA, will be singing the blues on the Boardwalk in front of Ruby’s from 1 till 4 pm. 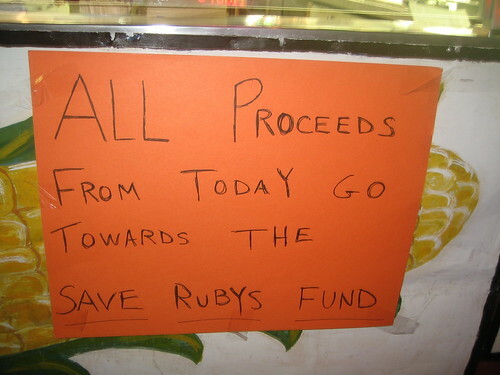 Drink up, because all proceeds go toward the Save Ruby’s Fund. 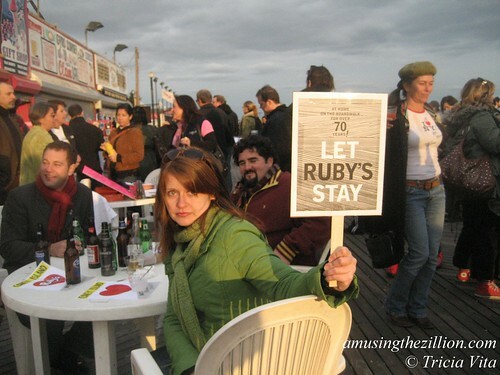 The legal wrangling will begin in court on Monday, when a judge will be asked to sign an Order to Show Cause to prevent the eviction of Ruby’s and 7 other Boardwalk Mom & Pops. The proceedings are expected to drag on for some time. Other businesses fighting the eviction are Cha Cha’s, Paul’s Daughter, Grill House, Gyro Corner, Shoot the Freak, Beer Island and Coney Island Souvenir Shop. 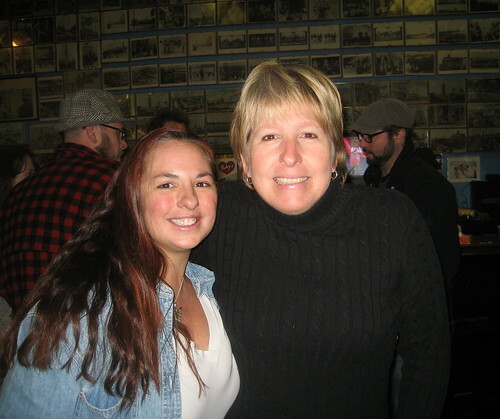 On Sunday at 3pm, Rubys Host will celebrate her birthday at Bratva, the new Russian bar on the north side of Surf Avenue. “I moved my B-day party to Bratva on Sunday after the Bears swim – u should come by – 3 pm – live music etc,” says the invite. Singer/songwriter/guitarist Paul Sanchez of Coney Island band Neptune Jam is playing till 7 pm.